There are many myths surrounding hard water. Although hard water is often not detrimental to your health it can be a considerable nuisance. 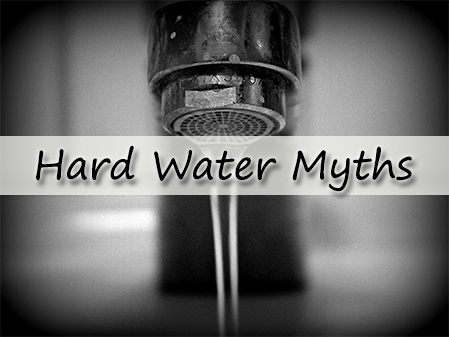 Below we will look further into the most common hard water myths and debunk them. Truth: Hard water contains minerals including calcium and magnesium both of which are known to stick to the interior of galvanized steel pipes which leads to build-up and in turn clogs pipes. Galvanized steel plumbing is commonly found in homes that were built between 1940 into the late 1970’s. Homes built after the late 1970’s or homes that have had their plumbing replaced most often use pipes that are made from copper. Copper plumbing does not allow for calcium or magnesium build up to form. Thus, not ALL types of plumbing materials are responsible for hard water clogs. Truth: Hard water does contain a number of minerals however, minerals are not contaminants, minerals are nutrients. Drinking water that is rich in essential minerals like calcium and magnesium is healthy for individuals. Mineral rich drinking water helps protect the health of individuals and can lead to lower risks of heart disease and stroke. Truth: Water softeners do not in fact filter water at all. Softeners use a process of ion exchange which is used to exchange minerals in the water for sodium. Water softener units take “tainted” tap water and create water that can be used for drinking, cooking, showering, laundry, dish washing, and more. The water processed through a water softener is NOT filtered and can often have a salty taste depending on a number of different variants. To remove the saltiness from water that has gone through a water softener a point of use filter can be installed to faucets. 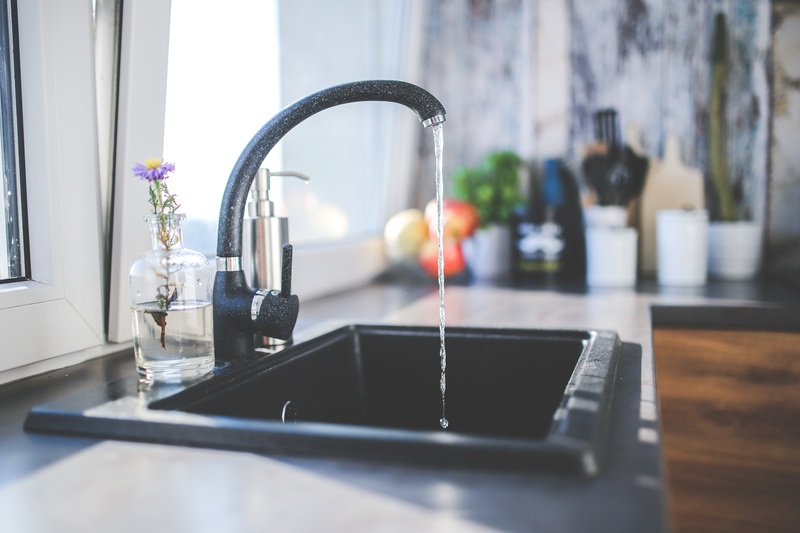 Most individuals are not bothered by the taste of drinking water that comes from a softening unit however a filtration system does remove the sodium in water if a homeowner is bothered by the taste. Truth: Hard water often leaves behind a residue that contains minerals which are not the best for bathing, cleaning, or laundry. Water that goes through a water softener is known as soft water. Soft water is ideal for bathing, hard water is known to create dry hair and skin because of mineral deposits that it leaves. In laundry and household cleaning hard water is known to leave stains and create a filmy residue that is not found in water that has gone through the rejuvenation process that takes place within water softening units. There are a number of reasons that the water in your home could be discolored or taste funny. Many of the causes of peculiar tasting, smelly, ill colored water comes from where the water is coming from on your property or the city. There are steps that homeowners can take to improve the quality of drinking water no matter the source of the water. From city water to well water Reynolds Water Conditioning company has a solution for your water. When your water comes from a city source you can almost guarantee that any problems occurring with your water are derived from your property. Some areas in the state of Michigan however are an exception to this such as Flint. The municipal water source in Flint is contaminated with lead. In this situation the problem with the water does not come directly from the property and therefore is difficult for you to treat within your home. One of the things that you can do if you have issues with your city water is to evaluate the pipes in your home. 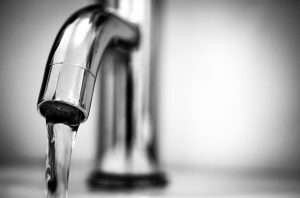 If there are changes that you can notice within the water such as color, taste, and changes to the water pressure this almost certainly means that there is an issue in your pipes. Corrosion is known to cause partial blockages decreasing water pressure and adding a presence of ill tasting and smelling elements to the water supply. If interior pipes are not found to be the source of your issue, then it is a good idea to check the exterior pipes of your home to check for leaks. In no case do we recommend tackling issues with your plumbing alone. It is always best to work with a professional. The process of determining where the issues lie within your well water is much simpler than it often is with city water. The first step professionals will take is to test your homes water to determine what contaminants are present. If the water is clear, then further investigation will need to be done with the infrastructure. However, more often than not the problem will be a chemical imbalance in the water. If the water balance is correct the first places to check are with the well pump and casing. Leaks and improper seals can lead to contaminated water and sediment. 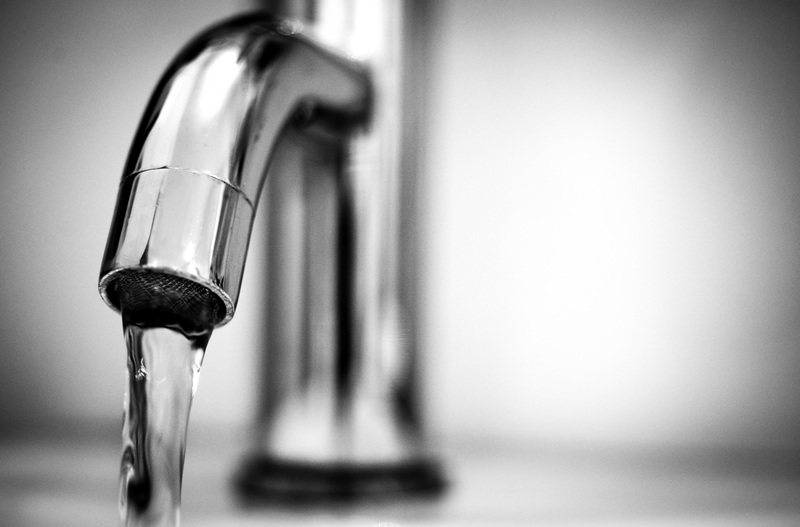 Whether you have city or well water, water filtration systems can be installed to remove pollutants from your homes water and make your water taste better. Water filtration units can be installed as point of use or point of entry. The professionals at Reynolds can help you determine what type of system will work the best for the water quality in your home. A whole house water filtration system is in place to filter all of the water that is used within your home. This includes the water you shower with, the water that flows through your shower, all of the water that exists a faucet is filtered when a whole house water filter is installed. Water quality professionals install whole-house filters at the main water supply. When your water is on point most of the time but occasionally has an odor, weird color, or taste a point of entry water filter system installed on the kitchens water supply can improve the quality of the water you use for drinking and cooking. RO systems work to improve the quality of your water by passing it through multiple systems that work to eliminate bacteria, sediment, and other pollutants within the water. This leaves the natural minerals in water and oxygen behind leaving great tasting water. Reverse osmosis water systems require users to replace filters on a regular basis to keep the water quality at peak levels. Water treatment terms are often switched between one another. Many people, mistakenly, believe that the process between filtration, purification, conditioning, and softening are all one in the same. With all of the confusion that surrounds the process of bringing quality water to your home and family it is important to have a basic understanding of the difference between each process. Most homeowners believe, although it is incorrect, that when they are looking for cleaner drinking water, free of lead and chlorine that the installation of a water softener will meet this goal. Of course, as stated previously, this is not the case at all. Water softeners are installed in homes as a way of removing minerals in the water. The minerals that are removed are those that cause your homes water to feel “hard” and create buildup in your plumbing. To bring cleaner water, that is free of contaminants a water purification system would better suit your goal. What Are We Trying to Eliminate in Our Water Anyhow? Before we can truly understand the processes involved with taking the impurities out of our water it is important we understand what we are removing and why. Pure water is simply hydrogen and oxygen, H20; however, water doesn’t occur in this form naturally. It picks up minerals, impurities, and a number of other chemical compounds as it makes its way to your faucet. Mineral sediments in our water systems can be both good and bad. Things like calcium and magnesium are needed whereas like chlorine, pesticides, herbicides, waste, bacteria, and viruses in your homes water supply can be quite harmful. Impurities in the water are removed using two different kinds of water treatment systems: filters and purifiers. Along with creating healthy water there are other reasons that people would want to treat the water in their home such as a reduction of in scale build-up which increases the lifespan of your appliances. Water softeners are the system, once installed prevent minerals from passing through the water supply in your home into your home’s pipes and appliances. Water filtration systems eliminate and work to decrease chlorine, lead, mercury, magnesium, copper, chromium, nickel, iron, hydrogen sulfide, and more. Water purification systems work to remove bacteria and viruses. Purification does not mean that the water is free of chemical contaminants that are removed by filters. Water softening systems work to replace the “hard” elements in the water with salt or potassium that will not create build-up. A water treatment option should be chosen only after an analysis of water is done. Many homeowners find that a combination of treatment systems work best to bring them the quality water they are looking for. Due to recent news reports of tainted water passing into the drinking system of major cities around the world, there has been a renewed interest in the quality of water that people drink. After all, not all water is the same. There has also been an increase in demand for iron water filters and water treatment systems that help supplement the naturally-occurring minerals in most of the water we drink. Communities that live far from the city typically rely on well water for their needs. While this water is generally safe, it needs to be treated with iron filters or water treatment systems to ensure it has the right properties at the proper concentrations. Naturally-occurring water may contain iron, hydrogen sulfide, and manganese among others. While these metals do occur in the human body in minuet quantities, they can be more concentrated in water thus becoming contaminants. High dosages of undissolved ferric or ferrous iron can also be present. This is responsible for the characteristic “orange-brown” water that sometimes comes out of the faucet the first time its turned on. If your water has iron in concentrations of 3 to 4 parts-per-million, then an iron filtration system is necessary. In a nutshell, how can you tell you need to purchase and install an iron filter? The best iron filters will begin the process by pre-treating the water via oxidation. This is achieved using an oxidant such as ozone, chlorine or hydrogen peroxide. This pre-treatment serves to enlarge the iron particles making them easier to remove. Next comes the actual filtration process. This is the mechanism whereby the enlarged iron particles are removed. The best iron filters in the market are those that are able to do the best job when it comes to pretreatment. Filtration is not a complicated science. Once the iron particles are enlarged, they are unable to pass through the chemical filter which only allows clean water. This process also continues into backwashing where the iron particles are completely forced out and eliminated by the filter. Everyone wants water that tastes good in their home, but it can be tricky to determine what type of water filtration system to install to make it happen. After all, having great tasting water is not going to mean anything to you if the water in the rest of your house is cloudy and stains your clothing or other items that you are trying to keep clean. Point of use home water filter systems will help you achieve fresh and crisp tasting water and these systems are installed underneath a sink or countertop. While point of use home water filter systems will deliver purified water for drinking and cooking, the amount of water that is purified each day might be less than you actually need. Whole house water filtration systems will treat all the water that enters your home, which means that you will be using treated water for bathing, washing dishes, cleaning, and doing your laundry. These whole house water filtration systems can deliver thousands of gallons of water each day and the system would need to be placed where your water first enters your home. This could be in your garage or your basement, and since these systems are a little larger, you will need to make room for them. 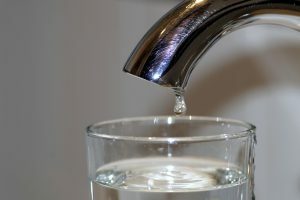 You would never need to worry about running out of clean water when you use a whole house water filtration system, but you should know that the quality of the water will not be as pure for drinking as it would be if you installed point of use home water filter systems in the rooms where you drink the water. While either one of these options will give you better water, you may want to consider installing both inside your home. The whole house water filtration system will treat the water for your entire home, while additional treatment will be done to your water with the point of use home water filter system. This additional system will ensure that you have the best purified water for drinking and cooking purposes. You may decide to install one or more of these systems due to personal preference of how water should taste, or you may choose to have them installed out of necessity. Red iron stains are one of the first clues that you need to seriously consider a whole house water filtration system, while an off taste might simply suggest a point of use home water filter system. 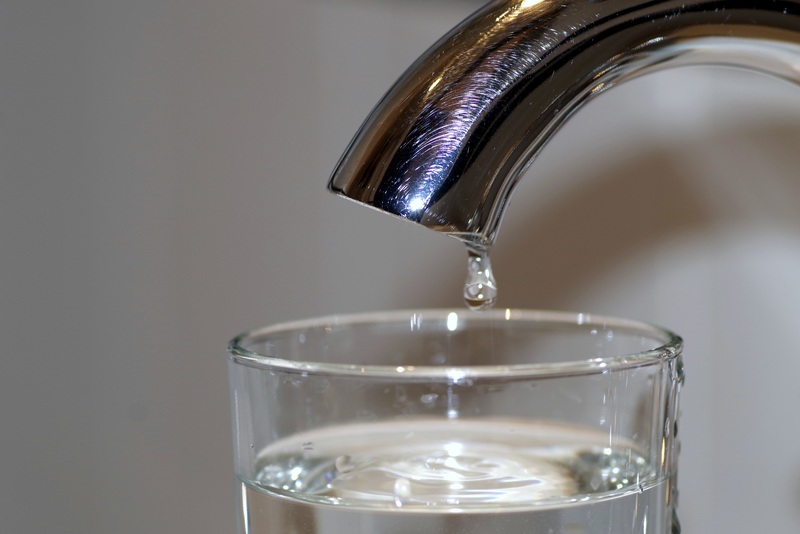 If you are not sure if you need to install a water filtration system inside your home, you may want to have your water tested and talk to a professional of how these systems can make your water better. Regardless of whether your homes water is supplied through public or private water treatment facilities, the purpose of improving the quality of drinking water is to make it safe to drink and use, palatable, and sufficient enough to serve your entire home’s needs. Point-of-use (POU) technologies such as water softeners and reverse osmosis devices are commonly used to treat contaminants before the water is deemed safe to drink. A POU device can either be attached to the main faucet, installed under the sink and can also be set on the counter for the purposes of reducing contaminants in drinking water or to enhance the aesthetic quality of water supplied by a local public drinking water system. A Point of Entry (POE) device, on the other hand, is a unit such as the ion filter that is installed to treat the water entering a house also to reduce contaminants in the water distributed throughout home intended for showering, washing dishes, clothes, flushing toilets, etc. You ‘may’ not need a water treatment unit in your home if you live in an area where you receive your water from public water suppliers, that is if your PWS meets all the requirements of the Safe Drinking Water Act. You still want to get your water tested first to determine if there are any contaminants present. Individuals who have a private well also need to have their water tested for contaminants and use a home water treatment unit like an ion filter or water softener to lower any health-related contaminants and ensure that any water entering the house is safe for use. The reverse osmosis (RO) is a popular POU filtration unit with many homeowners because it removes impurities such as fluoride, lead, chlorine, pesticides nitrates, and sulfates. The ion filter system unit, on the other hand, provides both water softening and deionization water treatment option that removes every calcium or magnesium ion in hard water to produce soft contaminant-free water. Reverse osmosis is, arguably, one of the most effective and efficient methods of treating and softening drinking and cooking water. It has an osmotic membrane chamber filled with tiny pores that only allows water molecules to pass through while contaminants such as calcium and magnesium are left behind as softened water is produced. To determine if any of the above water treatment options are suitable for your home ask for a professional water analysis. Health care experts advise people to drink at least 8 full 8 oz. glasses of plain water every day to stay hydrated. This is important because the human body is two-thirds water and without an adequate supply of fresh, clean drinking water your body will be at risk. Most homes in the United States are either hooked up to a municipal water source or localized well water. Unfortunately, just because the water source is supposed to be safe and healthy to drink, there have been issues in the past whereas one or more of the water sources like a water well was contaminated. If this is a fear you have then there is something that you can do to prevent your family from drinking contaminated water without any knowledge that it is happening. One solution would be to have a full house water filtration system or one that attaches to the faucet and filters the water before it comes out. Most water filtration systems work by having the water flow through some type of media material that is designed to trap even the tiniest of contaminants present in the water. 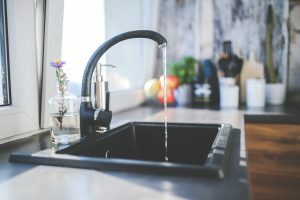 There are several different types of water filtration systems and each one works in a unique way to clean the water and prevent you from being contaminated. Activated carbon filters or carbon filters for short work trapping suspended particles in the water and also helps to absorb chlorine and other chemicals that after often responsible for causing the smelly odor in your water that comes out of the faucet. Most of the systems that use these type of filters make it possible for them to be replaced periodically. This filter system works by forcing the water under pressure through a membrane that will only allow water to pass through it and nothing else. This is also why RO is used to convert seawater (saltwater) into drinkable freshwater. The RO filter is usually part of a total water filtration system. One of the more popular health kicks these days is alkaline water. One of the reasons is because is being reported that many of the most common illnesses thrive in acidic conditions. By drinking only alkaline water, you reduce the acidity level within your body you could help to possibly prevent one or more of them. Ultraviolet filters are used specifically for killing dangerous bacteria when present in a water supply. By exposing the water to ultraviolet radiation any bacteria will be killed without having to use dangerous chemicals or heating up the water. This type of filter is also typically found as part of a multiple stage filtration system. This type of filtration system combined heat and electricity to filter and soften the water by negatively charging the water to change its molecular structure. These type of filters work a lot like Alkaline and Water Ionizers.